Hi, there; I’m Chyenne Smith, from Carmen, Idaho! My husband, two daughters and I, with help from my husband’s parents, raise commercial and registered Black Angus cattle and Morgan horses. I didn’t originally group up as a rancher. My father built homes, so I grew up around construction, later starting my own construction company that made decorative concrete floors. My passion for ranching may be new, but I took to it like a duck to water. I’ve always loved horses and riding, so raising cattle on public lands and being able to contribute to their well being is very fulfilling. Knowing that our public lands have been cared for by generations of wonderful ranchers inspires us every day to make them better. What is your favorite part of the beef industry? Hands down, the best part of the beef industry is being able to work with my family doing something we all love. What’s your favorite beef meal to cook (or favorite beef recipe)? I can’t think of a beef recipe that I don’t like, though some I’m better at preparing than others. A favorite at our house is leftover roast beef tacos, homemade roast beef and cheese pockets (baked in crescent rolls) and hamburger soup (burger, any/every vegetable, rice, and beans in a thick broth). When you’re not busy ranching, what do you like to do to “unwind”? When we’re not busy ranching we like to unwind by, wait, we’re always busy ranching … we do take the time to make our jobs fun though. We camp out on the mountain when moving cattle, we throw potlucks around working days and on hot afternoons we check cows by floating by them. What is your favorite part about Idaho? Idaho is such an amazing and diverse state. It has beautiful mountains, wide open plains and everything in between, what’s not to love? 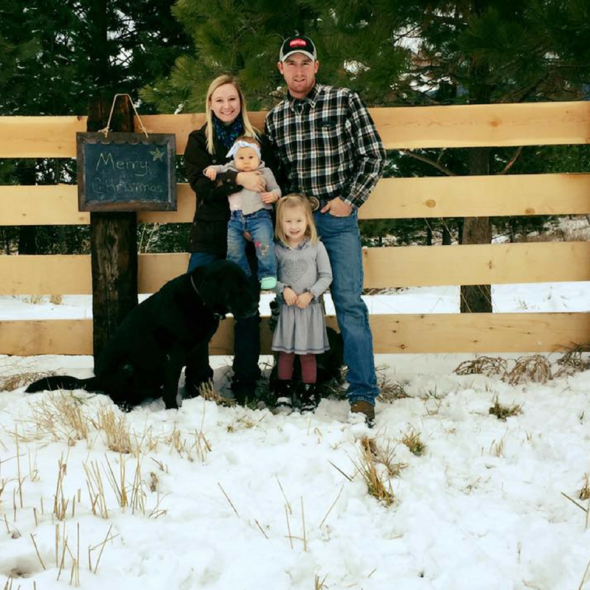 Hi, my name is Hannah Malson, and I’m one of Idaho’s beef producers! I am originally from southern Oregon; but after a year in the Midwest, Parma, Idaho became my home in 2013. I grew up on a 1200-acre hay farm, but my mom, brother and I have our small herd of show calves that we sell to 4-H and FFA kids. My husband ranches with his family raising registered Angus and Herefords as seedstock. My career in agriculture started at a young age helping out on our family farm, but I was always drawn to the animal side of agriculture. I worked for local cattle companies, helping them exhibit their cattle at shows throughout high school and college. With a college degree in hand, I moved to Iowa to fulfill my dream of living in the Midwest. During my time there, I was working for Tyson Fresh Meats as a Carcass Merchandiser. 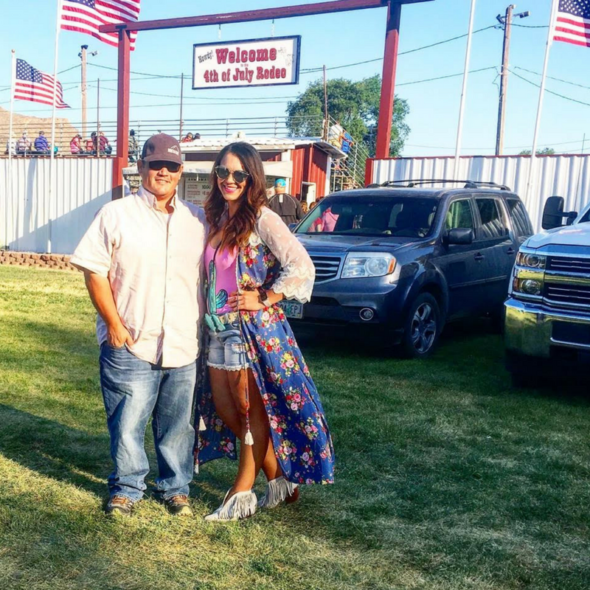 Once engaged to my now-husband, it was time to move to Idaho & I started working in procurement for Agri Beef. When an opportunity came to work closer to home, I jumped on it and now am employed at Boise Valley Feeders. Here, we currently feed about 20,000 head of Wagyu & conventional cattle. I have been fortunate enough to have been employed in different aspects of the industry and in different parts of the country. From going through the pastures to scope out the new calves in Oregon to watching the cattle grow in the feedlot in Idaho to walking through the coolers in a plant in Nebraska, seeing the process beginning to end still leaves me in awe. Every segment works a little differently, but ultimately they are all working towards the same end goal—providing consumers with tasty BEEF! It’s got to be the people and work ethic gained from this industry. I know firsthand I wouldn’t be the person I am today if it wasn’t for that strong agricultural foundation I was raised on. The life lessons in the ag world are second to none, and I am continually thankful for those (even if I did have to learn some of them the HARD way). Why are you passionate about the beef industry? We feed and fuel the world. Not only do we provide a safe, reliable, nutritious product for all to consume, but the list of byproducts the cattle industry provides is downright mind blowing. It’s amazing that 99 percent of a beef animal can be used between the meat and byproducts we use every day. Also, farmers and ranchers are the salt of the earth. The passion they exude for the land and their animals is nothing short of inspiring. I tend to leave the grilling to my husband, but it is hard to beat a perfect Prime Rib cooked medium rare, with a side of fresh horseradish. A summer evening cruise with the windows rolled down, the smell of fresh cut hay in the air and a good tune coming through the speakers does my soul good. Also, I believe surrounding yourself with good people is number one, so I love to spend quality time with my family, friends, fur baby, Cinch, and of course, shopping! Ag is my number one passion, but fashion isn’t far behind. The sky. Whether it’s a sunrise or sunset or if I am at home, the ranch, feedlot or on the road, I am in constant awe. They are absolutely breathtaking and serves as a great reminder to give yourself a second in this hectic world to take it all in. I’m Diana Graning! 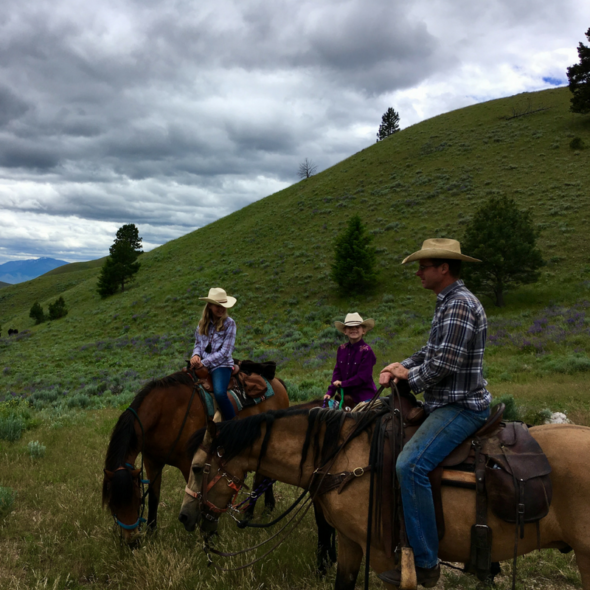 My husband Cody, myself and our two daughters Mesa (5) and Riata (1.5) are ranchers in Keuterville near the breaks of the Salmon River. Along with ranching, we also own a custom crop spraying business in Idaho County. We raise Limousin Angus cross cattle known as “Limflex”. Our herd started when my Uncle decided to sell a small bunch of my late grandfather’s older Angus cows, as to make the herd more manageable. At that time the connection to my grandfather’s cattle was as tender as ever and I convinced my husband that we had to purchase them. So we started with 11 head and have grown quite a bit since winter of 2013. Although, we still have a handful of those original 11 and we have since kept a few heifers as well. It makes me proud to keep a little of his herd genetics around. When it comes to eating beef, everyone loves a good steak; but for an everyday meal that’s affordable, easy, and so delicious I’d say either a Roast or Chuck Steak in the crockpot for French Dip Sandwiches. I have used many Chuck Steaks for this. It’s best to thaw and trim them before, season well and let them cook on low for 8 hours. They should shred up pretty good, put a scoop of meat on to some hoagies with the inside grilled and pepper jack cheese with au jus sauce for dipping. You can also add green peppers and onions. Even as a rancher, one thing that I am still always learning is how to use all of the cuts for the best eating experience. I would have to say my favorite part of the beef industry is the closeness between beef producers. It doesn’t matter where your operation is what breed you raise, its size, whether you’re a feedlot owner, stocker, cow/calf, etc. All beef producers seem to treat each other with respect, a smile and usually a question like “how’s the weather around your place?” We share so much in common that if there is a time when a beef producer in need, there will be support from all over come to lend a hand. It’s a special thing to be a part of. As young producers that started small, I am so appreciative for all the support we have received. It’s because of other ranchers and our own hard work that we were able to grow in herd numbers, pasture and equipment via letting us know of available pieces or allowing us to take over unused land. It’s refreshing to see relationships built between veteran and young producers. I am passionate on a couple levels. First I have seen how beef operations can be passed down from one generation to the next, keeping a legacy alive. I think you will be hard pressed to find another industry with as much tradition and heritage associated with it. Second, when it comes down to it, we as a society need agriculture. We have a need for a nutritious and healthy product to nourish our bodies. I enjoy being a part of providing that. Ride my darn horses! Even better if I can catch a barrel race. For an inside activity I like to crochet, watch documentaries on about anything and Big Bang Theory. I was born in Winnemucca, Nevada; however my family roots have always been here on the Prairie, including my grandfather ranching here, as well. My favorite part about it all are the wide open spaces and challenging country. Living so close the Salmon River canyon I have an established respect for the areas that sometimes are just plain inaccessible by man. To ranch in many parts of Idaho, horses are still very much needed. I appreciate living in a state that there are still areas you can’t drive too. 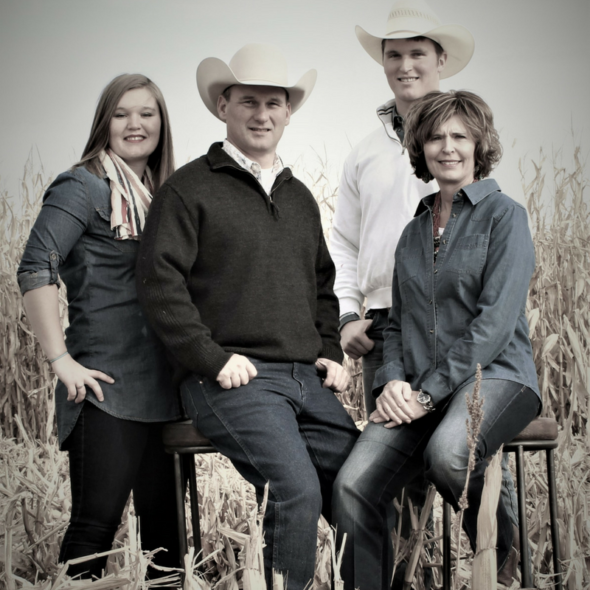 I’m Robin Lufkin, and my husband Carl and I are ranchers from Lemhi County! I was raised on a ranch in Leadore, not too far from where we live now, and Carl and I have ranched together as long as we’ve been married. We have always raised commercial cows, but for the last 15 years or so, we’ve started raising registered Angus bulls and sell them each spring at our annual bull sale. 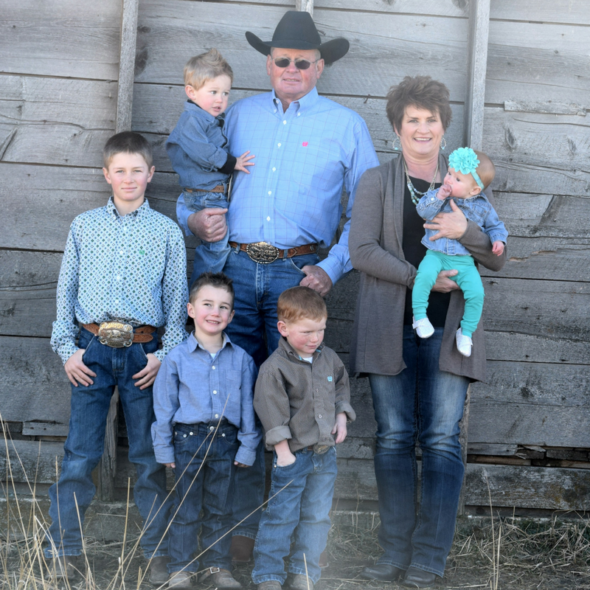 My favorite part of ranching is knowing that my husband and I are making a living the same way our parents and grandparents did, and that we’re providing that same opportunity for our children and grandchildren. Of course, I’d be remiss if I didn’t mention that I love producing a product that is not only nutritious, but delicious as well! Because I believe we produce a great product very efficiently that has many health benefits. I like to grill especially in the summer, but cook about all cuts of beef throughout the year. I love to golf although I’m not very good at it. I also like to knit, read and yard work. Oh and cook! The diversity of it. It has so many different wonderful things about it from one area to the next. And the fact that it’s such a great agricultural state, we grow so many different crops and foods! Hi, my name is Laurie Lickley, and I’m proud to be an Idaho rancher! We live outside of Jerome, Idaho, on our family’s “century operation”–which means it has been in my husband Bill’s family for more than 100 years. Our kids, Valene and Cole, are our operation’s 5th generation of Lickleys. Over that 100+ years, our operation has constantly developed and evolved to fit the time’s best management practices. Our most recent change has come in the last seven years, where we’ve started running our cows year-round in northern Nevada. We winter them on the river, where warmer conditions provide excellent winter forage, where we supplement with hay as needed. We move them to the mountain in March, where they will calve in April. Our calves are weaned in October, backgrounded, and shipped by the middle of November. We run our replacement heifers in California before coming back to the ranch for April calving with the rest of our cows. On our home place in Jerome, we also raise a few different crops, primarily growing alfalfa hay, corn silage and potatoes, all on a rotating schedule. I love everything beef–it’s the world’s premier protein! Our family markets both conventional and grass-fed cattle, which allows us to create a product that can appeal to all consumers. It’s such a satisfying feeling to know that people across the world are able to sit down and enjoy something that my family and I have worked so hard to produce! Why are you passionate about the beef industry? Preserving and protecting our ability to pass this business on to our children and grandchildren. What’s your favorite beef meal to cook (or favorite beef recipe)? The Mississippi Pot Roast is so versatile and easy, although I’m extremely partial to a thick medium-rare New York Strip. When you’re not busy ranching, what do you like to do to “unwind”? I absolutely love to travel and experience different cultures. A glass of red wine and a good book will do, too. What is your favorite part about Idaho? The people. Never have I met such hard-working, humble folks who sincerely care about their animals and contributions to their rural communities.